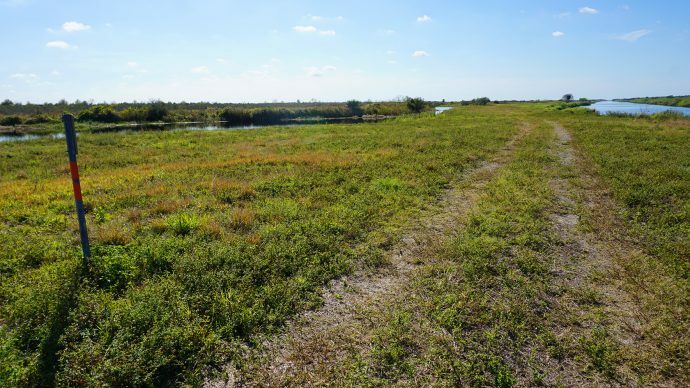 Kissimmee River levee breach | Florida Hikes! “Mama, you got to move.” That’s what Memphis Minnie wrote and sang after the Great Mississippi Flood of 1927. Led Zeppelin made the song When the Levee Breaks famous when we were teens as the final track of the iconic album Led Zeppelin IV, which featured Stairway to Heaven. 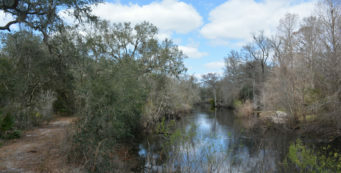 So of course, when a levee did actually break in June along the Florida Trail, the song has been running through my mind ever since. What else can you do but move? 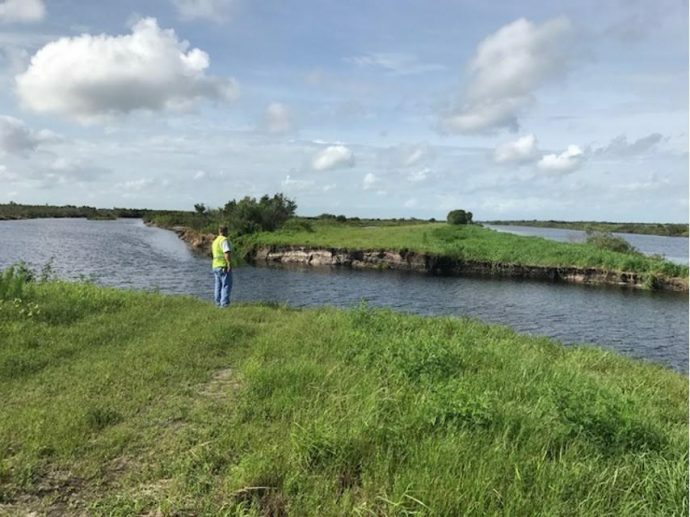 The levee along the Kissimmee River breached after weeks of heavy rain in early June, just south of the S-65A lock which hikers cross. 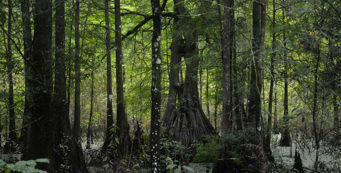 This breach breaks the Florida Trail in two between Kissimmee Prairie Preserve and KICCO. It’s simply impassable because of the water volume and depth. 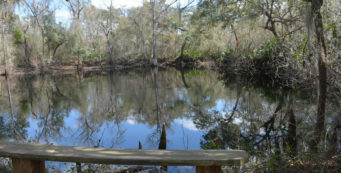 South Florida Water Management District (SFWMD) has confirmed that the breach is not something that can or should be repaired, since the de-construction of the levees is the ultimate goal to return the Kissimmee River back to its original meandering floodplain that was dredged, ditched, and walled with levees by the Army Corps of Engineers back in the 1960s. 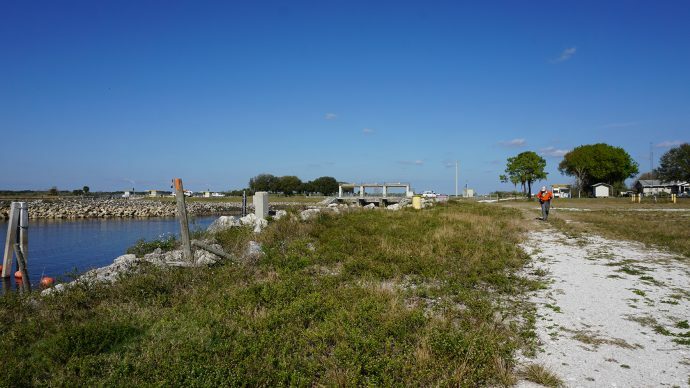 The resulting “straight shot” of flow into Lake Okeechobee has damaged our own great lake by pouring a heavy load of upstream nutrients into it, nutrients that were – and could still be – filtered through natural wetlands. The good news is, there is a plan. 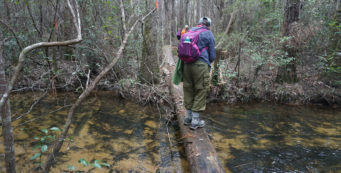 The Tropical Trekkers Chapter of the Florida Trail Association and FTA Regional Coordinator Kelly Wiener are working with SFWMD on an alternate route to the east of the damaged area. They’ll be scouting the route in September to confirm that it’s a viable choice for a new route. 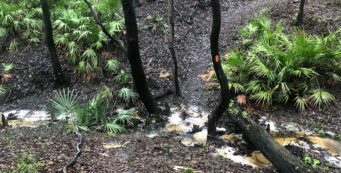 Once that’s confirmed, clearing and blazing can commence to reopen this critical connector along the Florida Trail between Kissimmee Prairie Preserve and KICCO in time for hiking season. 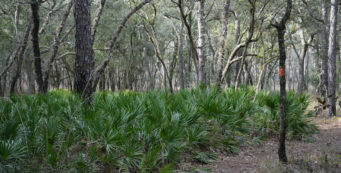 Once we know the new route has been finalized, we’ll share that with you. Meanwhile, here’s the Notice to Hikers about the breach (PDF download) from FTA.